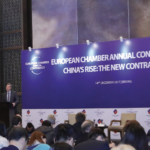 On 27th September, President Mats Harborn presented the key messaging from all three of the European Chamber’s recent publications—the European Business in China Business Confidence Survey 2018, 18 Months Since Davos: How China’s Vision Became a Reform Imperative and the Position Paper 2018/2019— before the European Parliament, as part of the European Tour 2018. After briefly acknowledging the progress that China has made on its reform agenda in the past 18 months, President Harborn emphasised that core issues still remain for European businesses operating in China. Market opening announcements have not been ambitious enough, he explained – there are still 48 areas that are restricted or prohibited to foreign investment on the updated negative list, which is too many. Even in sectors where market access restrictions have been reduced or lifted, such as automotive, financial services and shipbuilding, companies struggle to obtain operating licences. Complementary regulatory reforms are therefore needed if market opening is to have a meaningful impact on European enterprises. There is a great need for continued dialogue between the EU and China, he said. Using the example of the ICT sector, President Harborn said that forming a common digital strategy and increasing Europe’s participation in China’s technical committees, to provide input on standards, would be positive steps. Through the EU’s Connectivity Platform it should work with China on the Belt and Road Initiative (BRI), he said, to increase the project’s transparency and alignment with international procurement rules. Another significant challenge for European companies in China is the continued discrimination that they face. President Mats Harborn emphasised that unequal treatment is not always a result of state policy, but sometimes factors like protectionism at the local level. However, the root cause, he explained, is the maintenance of the legal definition of ‘foreign-invested enterprises’ (FIEs). By abolishing the Foreign Investment Law and implementing a unified Company Law, China would remove the legal distinction between international and local firms, creating a more level playing field. On the subject of state-owned enterprises (SOEs), President Harborn acknowledged that while reform is taking place, China needs to be more transparent on its ultimate intentions for SOEs and publish concrete timelines for their reform. President Harborn explained that unfair and forced technology transfers are a major reason behind current US-China trade tensions, and that 19 per cent of Chamber members who responded to the Business Confidence Survey 2018 said they have been compelled to transfer technology. He pointed out that through State Council Document No. 19 China has formally announced that all authorities are forbidden from using any means to compel technology in exchange for market access. 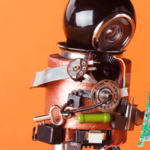 President Harborn explained that while it is important to recognise China’s intentions in this respect, it is equally important to collect evidence wherever possible, to show that forced technology transfers still exist. In conclusion, President Harborn stated that the above issues are ultimately a product of what the European Chamber calls the ‘reform deficit’: China’s reform efforts have not kept pace with its economic growth, creating a large gap between expectations and reality. He called upon China to accelerate reforms, to mitigate the concerns of European business and reduce global trade tensions. He further mentioned the importance of allocating adequate resources to EU institutions so they can properly engage with China on overcoming the ‘reform deficit’, and to that end acknowledged that we must identify which platforms will be most productive for increased engagement, to ensure that resources are used in the most efficient way.